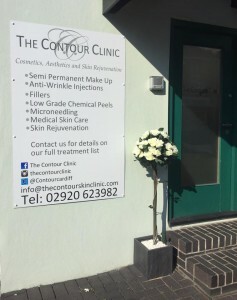 We’ve recently attended the Opening of The Contour Clinic, a clinc where we hold many sessions. We’ve got some coming up next Friday 23rd October we are at The Contour Clinic, The Coach house, Old church road, Whitchurch, Cardiff CF141AA Tel: 02920 623982. For more information on the Contour Clinic visit their facebook page. We also have a clinic coming up The following Friday October 30th we are at Mirror Image, Aberdare Tel: 01685 882265. for more information about Mirror Image visit their Facebook Page. Why not treat yourself or your partner!! Please call the numbers above for appointments. Spaces are limited so please book early to avoid disappointment. Both Janet and myself were lucky enough to have the opportunity to visit the home of our suppliers recently in Pringy in the South of France. This was a very prestigious opportunity and one that is not offered to many companies like ourselves. 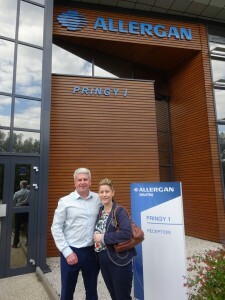 We had an excellent time, we were able to learn a lot about the product we use and the history behind our suppliers. Here are a few photographs of us both outside their facility; naturally because of confidentiality we do not have photographs of inside of the building. 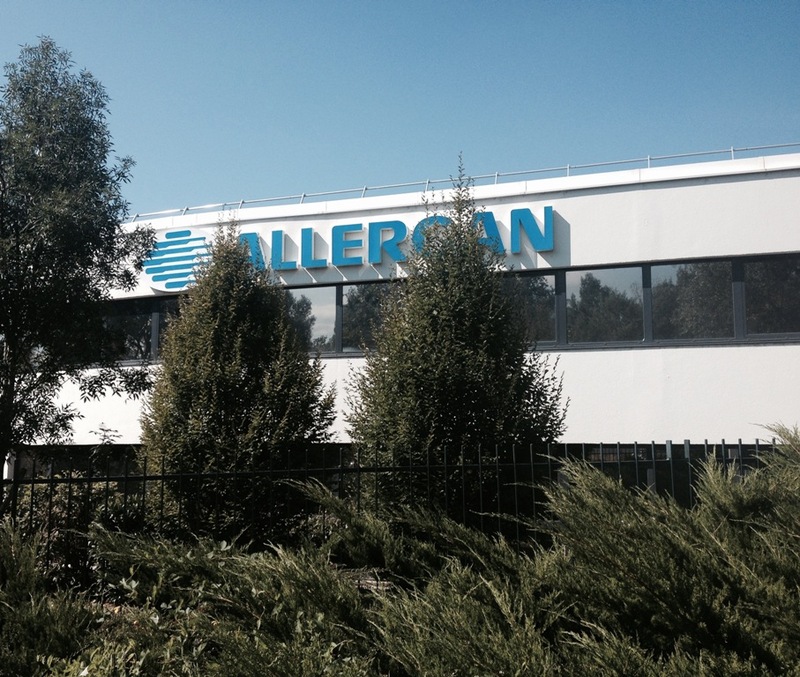 AAJ Aesthetics would like to thank Allergan for the opportunity of visiting their facility and for their hospitality. Don’t forget to visit us on facebook and twitter to keep up-to-date with the latest news from AAJ Aesthetics. Are you on Social Media, if you are come along and join us, you can follow us on twitter twitter.com/aajaesthetics. or like us on facebook facebook.com/aajaesthetics. Keep checking back for updates on our latest offers, clinics and news and information.